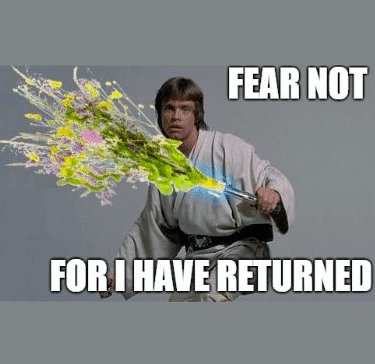 Return of the Jedi or the Herbs? Linked Spatial Data specialist and member of the FarmHack-team. 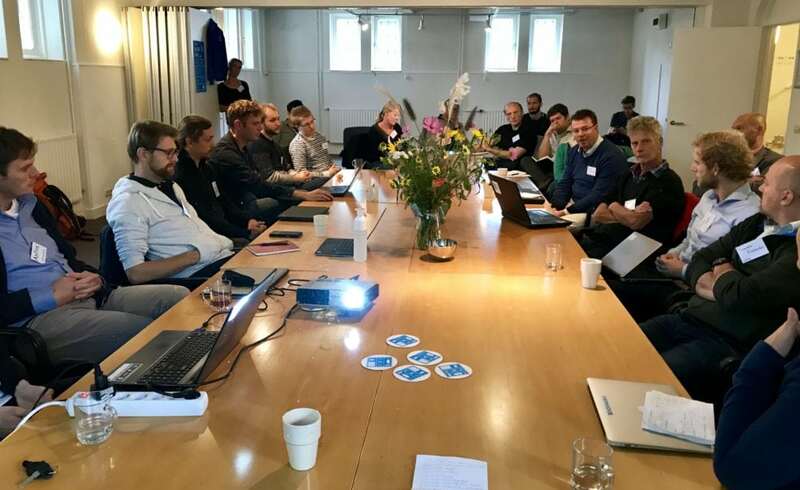 On Friday the 28th of September, representatives of the four teams that participated in the Rewarding Nature hackathon came back to Farmhack Headquarters for a follow-up event. Not only had the teams been working on their solutions since April, but the partners also strived to keep traction and stay in touch with all the participating teams. 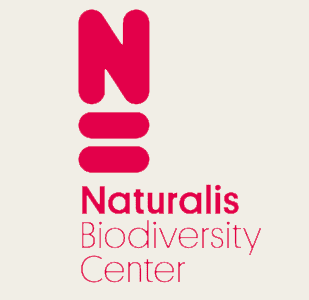 The partners themselves organized a summer meeting to strategize on their collaboration, which aims to make herbaceous grassland a functional KPI of the so-called ‘Biodiversity monitor’ . In this blogpost you can read up on the teams’ progress, expert support and partner input! Return of the Jedi, or Return of the Herbs. Either way, may the Force be With Us! We wanted to convene back. What was the idea behind the Follow Up Event? 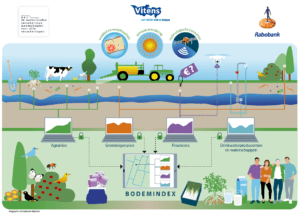 Like partners such as KPN and the WWF, we too acknowledge the relevance of the herbal rich grassland monitoring. For the farmer community, for the bigger parties that want to implement the biodiversity monitor, and for the start-ups which can offer this ‘herbal grassland monitoring from space’ as a service. Therefore in this follow-up day we wanted to: 1) provide teams with technical expertise and business leads as well as potential clients, 2) expose promising start-ups to well-established companies that are scouting for new ideas to bring to the next level and 3) kindle the biodiversity monitor conversation among the partners. The morning session featured a plenary session where after the introduction of teams, companies and partners, we kicked the day off with a technical lecture from Dr. Anton Vrieling on vegetation phenology. 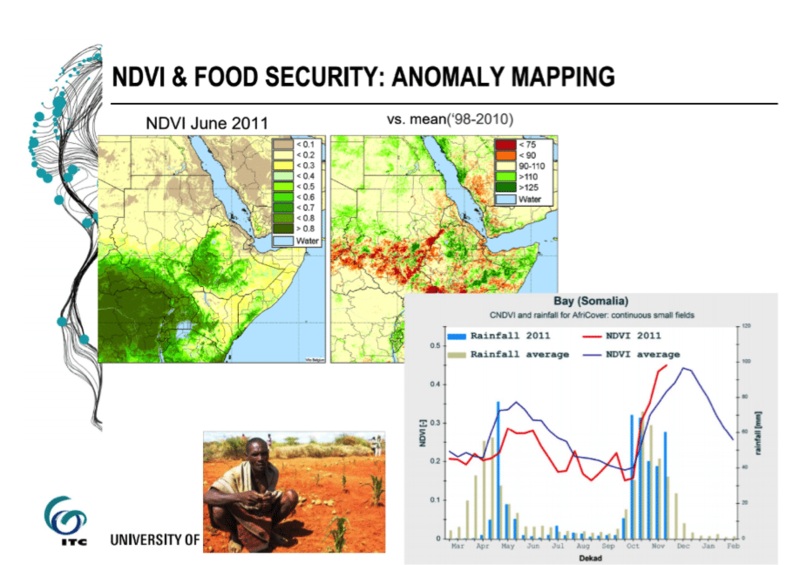 The lecture illustrated three application use cases that were meant to inspire different portfolio offering ideas amongst the start-ups: drought and pastoralists in the Horn of Africa, Vegetation Phenology in Schiermonnikoog, Maize Cover Crop in The Netherlands, check it out here. 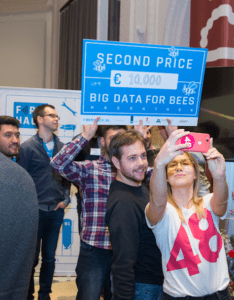 During the afternoon session, all the different teams from the Rewarding Nature hackathon did a business development sprint, while having access to partners, experts and possible clients. For instance, RVO not only brought together 3 different experts, and fresh sets of data for the teams use, but they also openly stated their current interest and focus within the topic. This meant that start-ups can better steer their operations to provide for this aforementioned need. KPN not only made this day possible being the main event sponsor, but they also brought together expertise from the Strategy and Innovation side to provide feedback to the teams and left some lingering curiosity in some of the teams’ ideas which should be followed up on. Team HerBee are struggling with time constraints and the inconveniences of being a start-up plùs 4 additional team members. However, they are committed to writing out a proper business proposition and bring that to market. Their ask is for a partner that is not afraid of investing 30K. KPN expressed an interest in the possibilities of the team’s software. 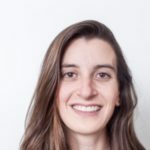 Team Radar LUV ((‘land use validation’), led by Tamme van der Wal, looked into the possibilities of ‘cleaning’ radar signals by filtering out the weather. KPN’s weather stations offer an interesting infrastructure. Some love is in the air! Team Grow App Agri collaborated with possible partners from waarneming.nl. They elaborated on the existing open source Grow App that creates time-lapses. The idea is to offer farmers a generic tool to do more with their photo’s, by using computer vision techniques. RVO is very much interested, to allow farmers to present photo’s as evidence. KPN’s Personal Data Space might be an interesting service to propel this team forward. More soon! The afternoon session yet again proved the value and importance to properly organize support around start-ups, to guide them through the early stages of their development. 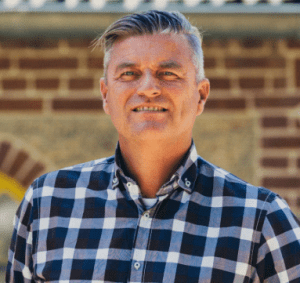 An obvious option to look for support are big ag companies such as Friesland Campina and RaboBank, which could provide this monetary muscle for startups and business coaching to progress with their ideas. 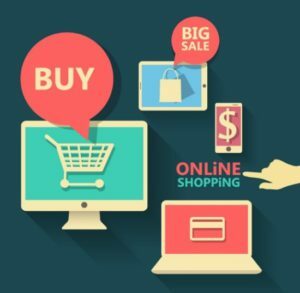 Time and again, it proves difficult for these companies to free up their minds and open up to the potential of these types of start-ups. The good thing is that the Ag Tech start-up scene is coming of age. We’ll be exploring possibilities of collaboration with existing start-up accelerators such as Wageningen based Startlife and new initiatives such as the start-up festival DataFood. As for the partners, especially the ones involved in the coordinated quest for relevant data, a big thanks to Anne de Valenca from WNF, Celine Roodhart from Vogelbescherming, Tim Visser from Wageningen Environmental Research, Anthonie from Vlinderstichting, Laurens Sparrius from Floron and Philip Van der Lugt / Marc Middendorp from RVO for providing us with the datasets listed in this github . 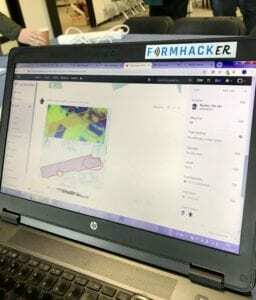 Farmhack will continue to act as a knowledge repository and will keep collecting and providing updates on these datasets.